With a sound as sweet as its name, the acoustic driven duo of Bourbon Country blend ultra tight harmonies and smooth but driving guitars to give a rich dynamic sound to your favorite past and present country and rock hits. While continuing to deliver country hits from the past and present, Bourbon Country has expanded its sound to deliver an eclectic mix of the best of traditional and modern country, country rock, and acoustic favorites. You’ll hear the boys play memorable hits from traditional country artisans like Johnny Cash and Hank Williams Jr., modern country superstars like Jason Aldean and Florida Georgia Line, country rock tunesmiths like the Eagles and John Denver, pop hitmakers like Elton John, James Taylor, and America. And what acoustic act would be complete without the Beatles? 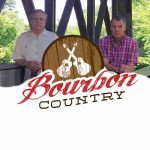 As successful bands and artists do, Bourbon Country continues to evolve, expanding its musical palette but always delivering the best in popular music from multiple styles.